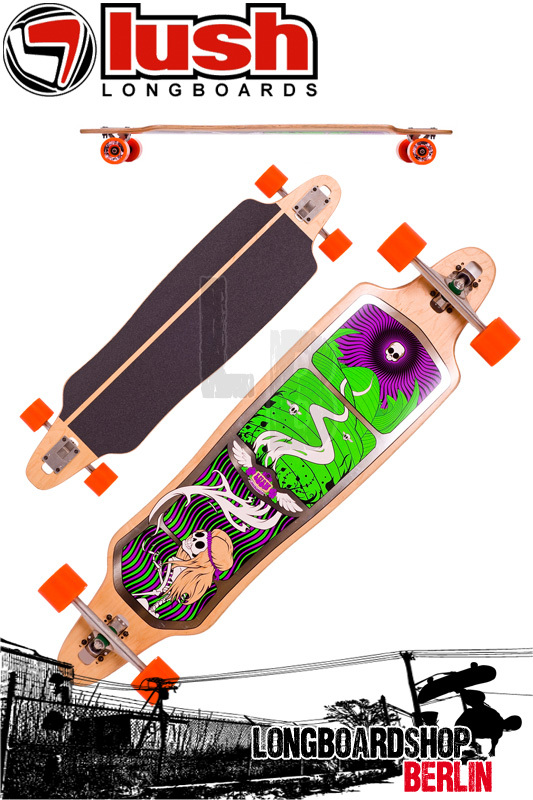 The Sequel is the replacement for the iconic original Lush drop-through speedboard "The Spooky"
Semi-symetrical shape with large rear standing platform fits today's freeride styles. Adjustable drop-through mounting - subtle adjustments to deck geometry are super easy, even with drop-through trucks. Our new rail profile - sharp at the top, chamfered on the underside.